The recipient of a bachelor's degree in English and film studios from the University of Pennsylvania, Ryan Ly began his career with Creative Artists Agency in Los Angeles, California, as an entertainment agent trainee in 2005. After three years of training, Ryan Ly began working in the agency's television literary and packaging department, where he consistently booked the most client jobs through a five-year period. Among others, he represented Academy Award-nominated writers, directors, and producers on shows such as Breaking Bad, The Walking Dead, and Game of Thrones. From 2013 to 2017, Ryan Ly served as head of the television literary department and managed a team of 18 scripted television agents in the agency’s New York, Los Angeles, and London offices. He personally represented over 50 well-known clients, who generated millions of dollars in agent commissions and agency packaging fee commissions, and, in the most recent broadcast year, his team secured employment for over 500 clients. For his professional success, Mr. Ly was named to The Hollywood Reporter 35 Under 35 list of agents and executives in the entertainment industry. He has also been quoted in outlets such as USA Today, Variety, and NPR. A prominent literary and packaging agent in television production, Ryan Ly has connected clients with high-profile positions with productions aired on broadcast, cable, and streaming networks. He served for 12 years with Creative Artists Agency, first as a trainee in its Television Department and later as a television literary and packaging agent. Consistently a top producer with more client bookings than any other member of staff, Ryan Ly placed his clients with staff opportunities on series including The Walking Dead, Game of Thrones, and Breaking Bad. While serving as an agent, Ryan Ly played a key role in cultivating the agency’s training system as well as its efforts toward diversity. He went on to accept a formal leadership role as an agency partner and head of the organization’s Television Literary Department. The youngest team member in company history to take on these positions, he excelled in securing employment for producers, writers, and directors. Ryan Ly also drove the sale of several award-winning series, including Better Call Saul from AMC and Making a Murderer from Amazon. He led these initiatives while representing his own portfolio of clients, who, together, drove more millions of dollars in commissions annually. A graduate of the English and film studies programs at the University of Pennsylvania, Ryan Ly began working in the entertainment industry as a trainee in television representation. In 2008, he became a full agent with Creative Artists Agency, where he became involved in the redesign of the agency's training program and diversity initiatives. 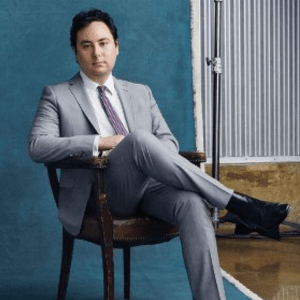 Ryan Ly also distinguished himself as a top representative of award nominees for television writing, as well as the leading booker of clients within the agency. In 2013, Ryan Ly became both a partner in the agency and the head of the television literary department, within which he had served for eight years. He continued to serve his own client portfolio and remained highly successful in placing those professionals in positions on cable, network, and streaming television series. In addition, Mr. Ly took on leadership of 18 agents, who worked in the New York and London markets as well as in Los Angeles. Distinguished as the youngest professional ever to become a Creative Artists Agency partner and department head, Ryan Ly was later named to The Hollywood Reporter's Next Gen list, which recognizes rising executives under the age of 35. He now leads as principal of Curate Entertainment in Los Angeles.